So one of the benefits of being self-sufficient and doing things yourself is not being restricted by what’s available on the market. Last summer we hung up curtains in our living room. The curtains that matched our style and color scheme were pretty flimsy, though. They weren’t lined, which we wanted. We bought them anyway, knowing that I could line them later. 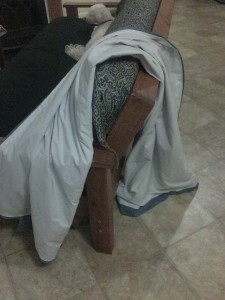 So ever since last summer, it’s been on my list to line the curtains. I have the capability to do that since I have a sewing machine, and know how to use it. First, what to line them with? I know I wanted to line them with white fabric so it would reflect back the heat outside. George had the smart idea that it might be cheaper to buy sheets from a thrift store rather than buy fabric. So over the year we bought some sheets. As I prepared to start this project, I ironed the curtains and the sheets. 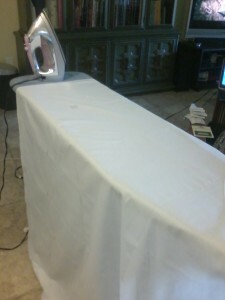 Ironing one of the white sheets. It’s recommended before sewing any fabric that you iron it so it’s as straight as possible. 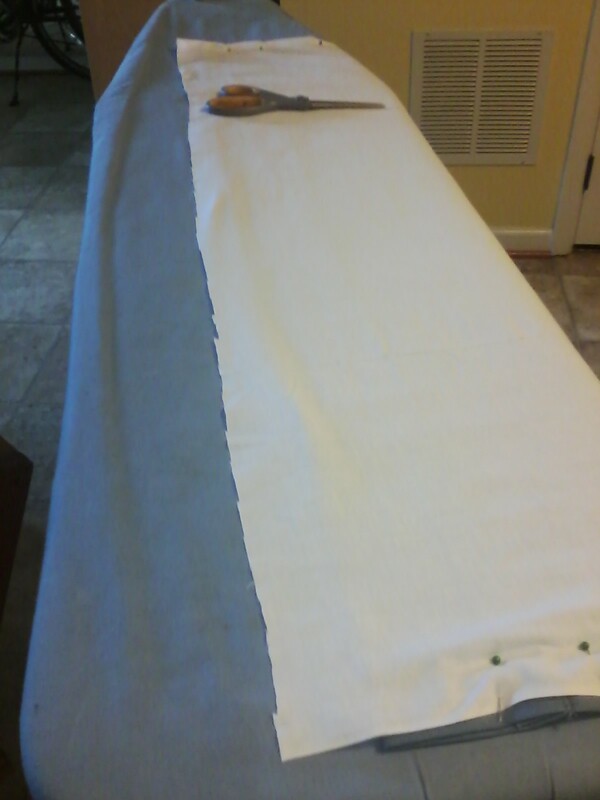 Here I have cut the white sheet to fit the curtain, and I’m pinning the curtain and liner together. 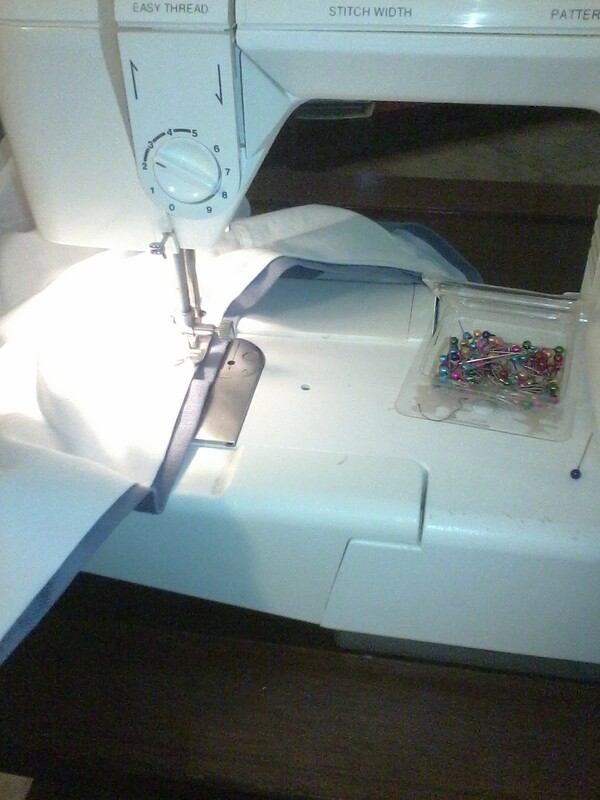 After pinning the pieces of fabric together, I was ready to sew. 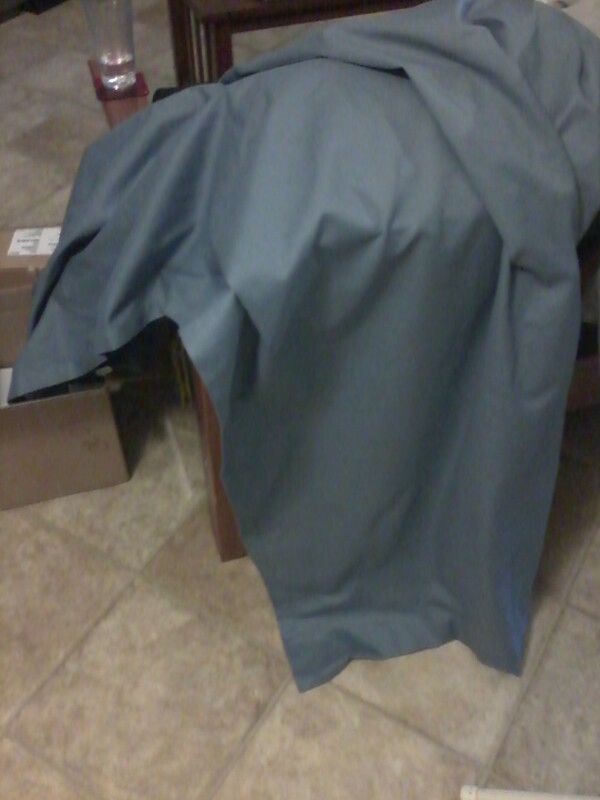 Sewing the curtain and liner. Initially, I had a problem with the sewing machine. The thread was getting all tangled by the bobbin. A quick internet search first suggested to make sure the machine was threaded correctly. It was, so I researched more to find other suggestions. The next was to clean the machine. So with George’s help, I took apart the bottom part of the machine and cleaned it thoroughly. That worked! The machine worked flawlessly after that. Sewing the liner on the curtains took time, but it was easy once the sewing machine worked. 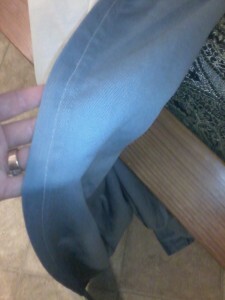 The finished curtain, with the seam I sewed. The curtains are much heavier with the liner, which makes them hang better. They are also much better at keeping out light and heat, which was the goal! The finished curtain, liner side showing.